Mid season. 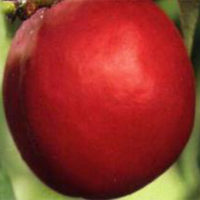 Doris is a medium sized red skinned yellow fleshed plum that is sweet and with good flavour. It is pollenized by Santa Rosa, Purple King and Cherry Plums, dessert, jam and bottling.